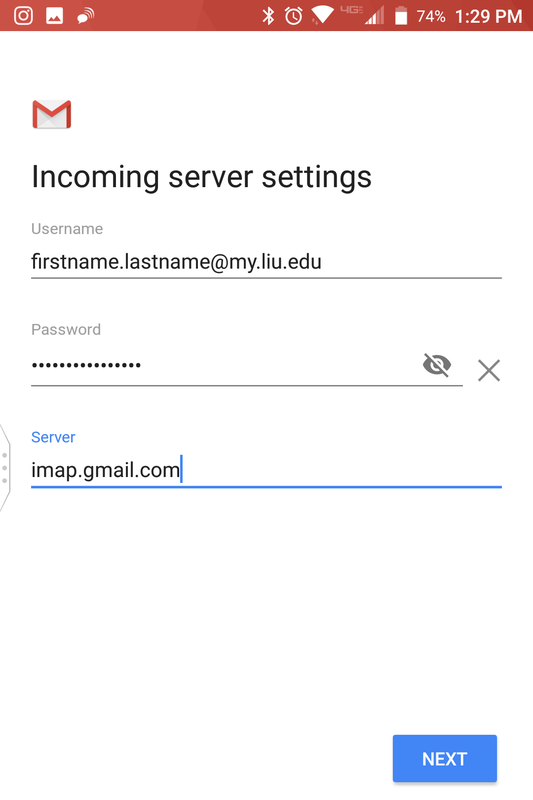 Login to my.liu.edu and open your mailbox. (This should be done on a trusted computer). 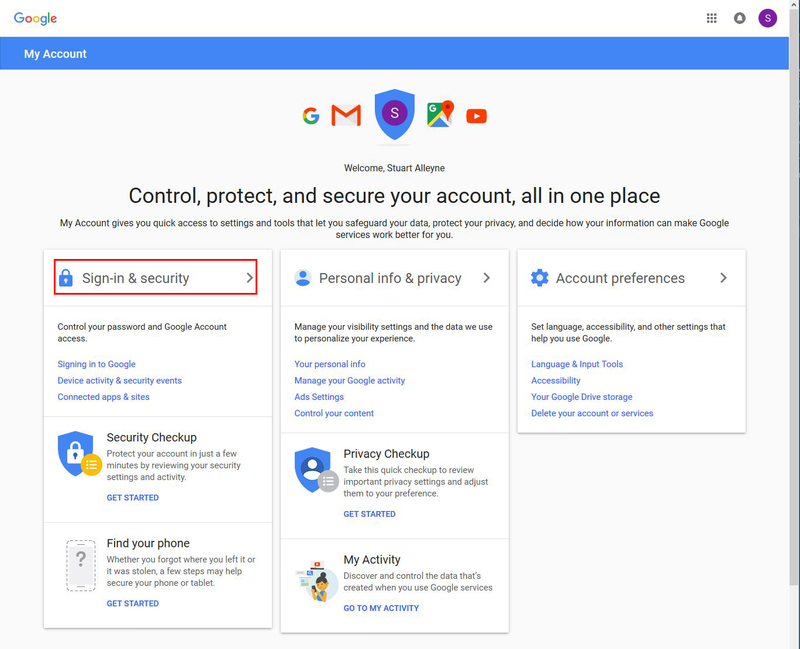 Click on your profile icon in the upper right hand corner, and click on Google Account. Select Security from the left side menu. 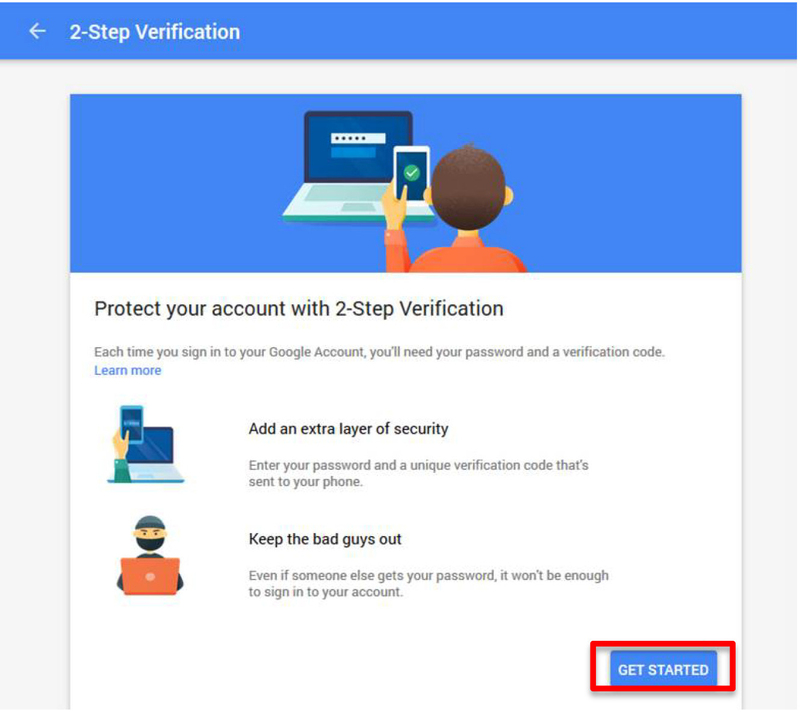 Click on the arrow next to 2 Step Verification, then click Get Started and enter your phone number. Enter the 6 Digit Code that was sent to your phone. Click next. Then click Next. Click on the back arrow, then click on App Passwords. From the drop down select Mail, then select Other. Give this profile a name then click Generate. Click Generate again, and a random 16-digit password would then be generated. Write this password down, you will need it in the next few steps. 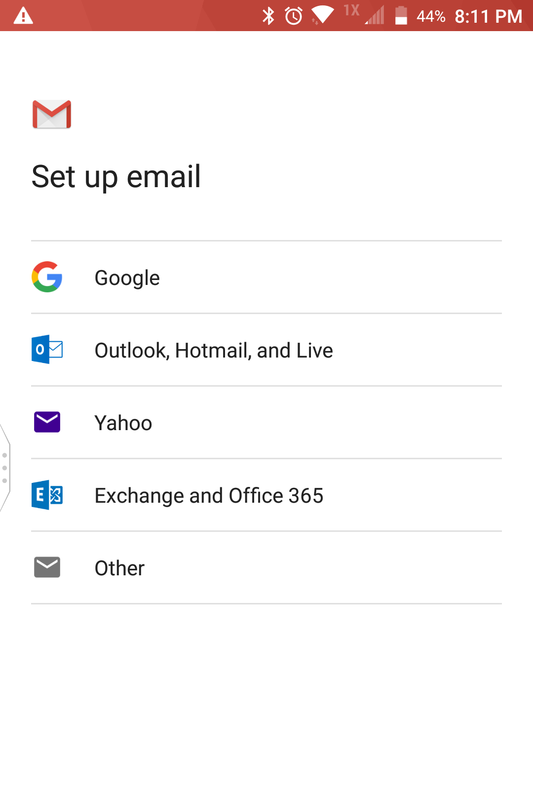 On your phone, go to the default mail application and add a new account. 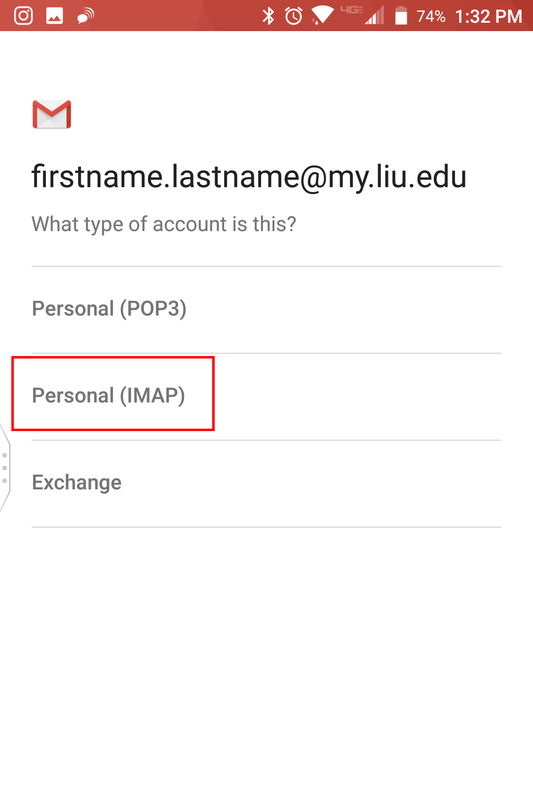 Select other, then enter your full LIU email address and the 16 digit password from step 7 above. On your Android phone select the Gmail App from your home screen or app launcher. When you are in the Gmail App select add account from the menu. When on the add account page select “Other” from the list of options. On the next page you will be prompted to enter your email address. 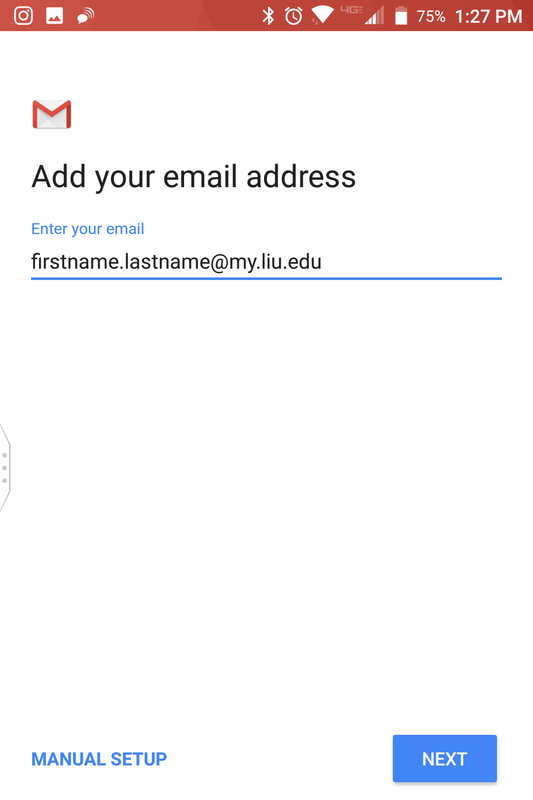 Enter your full MyLIU email address (e.g firstname.lastname@my.liu.edu). Then select “MANUAL SETUP” from the bottom left of the screen. You will be prompted to select an account type where you must select “Personal (IMAP) to proceed. You will be prompted to enter the incoming connection setting setup as the picture appears below. Substitute username with your MyLIU email address (e.g firstname.lastname@my.liu.edu) and use the randomized password from Step 7 for the password. You will now be prompted to enter the outgoing connection setting setup as the picture appears below. Substitute username with your MyLIU email address (e.g firstname.lastname@my.liu.edu) and use the randomized password from Step 7 for the password. You are done, the rest of the settings are all your personal preference such as sync time and notifications. For every new Android device you want to add just follow Steps 5 – 7 and the app of choice. Or if adding an iOS device use our iOS tutorial linked in the left hand menu of this page. Not using Android or iOS? Well the same settings apply to all devices the format of the screen may just look different.